Never do anything alone (unless you need to or want to) if you can do it with someone else. A little dejected but not surprised, I then approached another child. Child #2 gets in the car and off we go. We had a wonderful time. As we ran our errands, we talked. We listened. I shared bits of wisdom. We goofed around. We laughed. We enjoyed each other’s company. Our hearts were knitted together. There was bonding and fellowship and fun just by being together. The errands took a bit longer than I anticipated and while we were out we both got really thirsty. 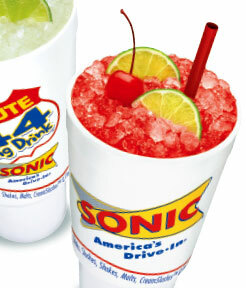 I knew that a Cherry Lime Aide from Sonic could fix that and I knew that a Cherry Lime Aide would be a big deal for this particular child. As this child threw a mini-tamtrum, it hit me. This is exactly how I often treat God. Instead of desiring the Giver, I just want His gifts. Instead of spending time with the Blesser, I simply want His blessings. I don’t want the everyday friendship with Him, most days I just want the benefits. God is not like a vending machine. You don’t spend time with Him to get what you want out. You invest in God and THAT ALONE is the gift, the blessing and the benefit. Anything you receive beyond that, is simply additional grace. Does God give out spiritual Cherry Lime Aides? Absolutely. But He often gives it to His children who aren’t using Him for one. He desires relationship and fellowship. He has errands to run and He wants some company. You wanna come? It is necessary to point out that I am merely sharing a snapshot from a moment in time. Every one of us have been captured in a negative light in various snapshots throughout our life. Though most children (regardless of age) desire the gift over the giver, I am pleased/relieved to say that this is not something by which either child is characterized.